In the Senate, there is talk of significantly increasing energy R&D spending. Kaptur’s counterpart there, Sen. Lamar Alexander (R-TN), is currently advocating a “Manhattan Project for Clean Energy” that would double spending on energy R&D. At a hearing on April 11, Energy and Natural Resources Committee Chair Lisa Murkowski (R-AK) said she is “all in” on Alexander’s proposal. 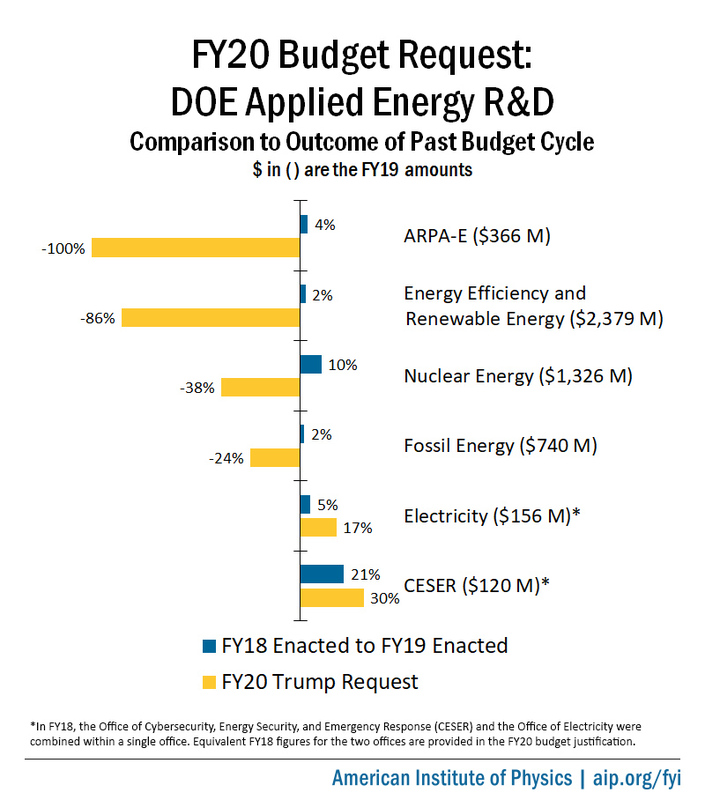 As a detailed plan has not yet emerged, it remains unclear how any additional funding would be distributed among the applied R&D programs, ARPA–E, and the DOE Office of Science..